¥₤$ Blog & Merch: #JamesBond #SkyFall007 Nov. 7th! Can SKYFALL be the First James Bond 007 $100 Million Dollars Opening Day Weekend Box Office Movie? Song writer and founder of VEN Entertainment Group, Vincent E. Norment think it can. VEN Entertainment Group presented "SkyFall Double O" ,a song performed by artist J.P. a.k.a TracMoon and produced by Bemaji. 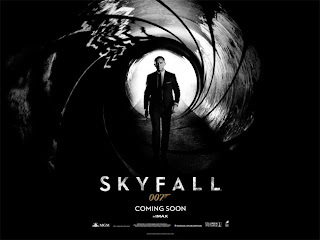 The song title is based off the 23rd James Bond adventure, entitled SKYFALL . The song is written by Johnny Pitman, Jr. and Vincent E. Norment. "I've been a James Bond 007 fan since I can remember the early years of Sean Connery", said Mr. Norment, "Movies Are for Our Entertainment and Enjoyment". In Memory of and Dedicated to the Victims and Survivors of the Aurora Shooting. SKYFALL went into production last year and will begin its worldwide roll-out in the UK and Ireland this year on October 26th 2012 and in North America on November 9th 2012. In SKYFALL, Bond’s loyalty to M is tested as her past comes back to haunt her. As MI6 comes under attack, 007 must track down and destroy the threat no matter how personal the cost.